Paris and Washington, D.C. – United Nations Educational, Scientific and Cultural Organization (UNESCO) Director-General Irina Bokova and UNESCO Goodwill Ambassador Herbie Hancock are pleased to announce that 185 countries have already signed-up to participate in the fourth annual International Jazz Day, which will be celebrated around the world on April 30, 2015. Paris, France, is this year’s Global Host City. 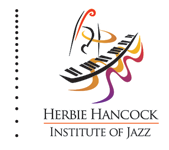 Presented each year on April 30th in partnership with the Thelonious Monk Institute of Jazz, International Jazz Day encourages and highlights intercultural dialogue and understanding through jazz, uniting people in all corners of the globe. The celebration is recognized on the official calendars of both UNESCO and the United Nations. The 2015 International Jazz Day celebration will kick off in Paris, France on April 30th with a daylong series of jazz education programs, performances, and community outreach. To further align the 2015 edition of International Jazz Day with the ongoing celebration of UNESCO’s 70th anniversary, the day’s events will culminate in the 2015 All-Star Global Concert at UNESCO Headquarters, which will be webcast for free to venues in Paris and across the world. This highly anticipated event will bring together over two-dozen renowned artists and personalities on one stage in celebration of jazz and cultural diplomacy and will feature performances by A Bu, John Beasley (Musical Director), Dee Dee Bridgewater, Til Bronner, Igor Butman, Terri Lyne Carrington, Mino Cinelu, Avishai Cohen, Eliane Elias, Antonio Farao, James Genus, Herbie Hancock, Al Jarreau, Femi Kuti, Annie Lennox, Gregoire Maret, Hugh Masekela, Marcus Miller, Guillaume Perret, Rudy Perez, Dianne Reeves, Lee Ritenour, Claudio Roditi, Isfar Sarabski, Wayne Shorter, Ben Williams and Dhafer Youssef. The concert from Paris will be streamed live worldwide via the UNESCO, U.S. Department of State, JazzDay.com and Thelonious Monk Institute of Jazz websites. Crowning the 2015 celebration will be an historic series of jazz education and performance programs presented free and open to the public in Paris (France) which has been designated the 2015 Global Host City. With over 70 offerings in all 20 arrondissements, visitors and residents will have opportunities to experience an array of workshops, master classes, jam sessions, roundtable and panel discussions, lectures, mini-concerts, film screenings and more as virtually every corner of their city comes alive with the sounds and sights of jazz. Special efforts are being made to maximize social inclusion and involve those who do not often have access to live music, including the disabled, the ill, the economically disadvantaged and the elderly. Organizers in The Hague will host a concert with the theme “Jazz for Syria” to raise awareness and support for Syrian refugees in Northern Iraq and Syria. In New Orleans, multiple Grammy Award-winning artists Terence Blanchard and Poncho Sanchez will host a jazz brunch at the New Orleans Museum of Art. The public is invited to enjoy a free concert on the steps of NOMA which will be followed by a second line parade from NOMA, along the grand boulevard of Esplanade Avenue, to the gates of the New Orleans Fair Grounds which hosts the New Orleans Jazz and Heritage Festival. Organizers in the Dominican Republic will present three separate events in Sosua, Cabarete and Santo Domingo, focusing on educational programming and outreach to poor and underserved communities. A radio station in Bhutan will play jazz and open the phone lines for call-in questions about International Jazz Day. UN workers in Yangon, Myanmar will curate a concert and daytime education program for local students with a visiting international artist. The Jazz Orchestra Hualpén Big Band in Concepción, Chile will sponsor a master class followed by a concert and open jam session. In Phoenix, Arizona, USA, this year’s downtown CityScape Phoenix celebration has expanded to kick-off International Jazz Day event at ASU Kerr Cultural Center with Azar Lawrence and Nicholas Payton to raise funds for Next Student Academy. “With music on their mind, there is no time for crime” is the motto/slogan and focuses on reducing crime and the drop-out rate. And across Afghanistan, lectures on Jazz will take place in 20 libraries along with special radio programs and community events. The Thelonious Monk Institute of Jazz is working with partners all over the world including music clubs, associations, schools. UNESCO national commissions, public radio and public television, libraries, schools and universities, performing arts venues, community centers, artists and arts organizations of all disciplines will be celebrating the day through presentations, concerts, and other jazz-focused activities. Programs already have been confirmed in 185 countries and on every continent. The designation of International Jazz Day is intended to bring together communities, schools and other groups the world over to celebrate and learn more about the art of jazz, its roots and its impact. 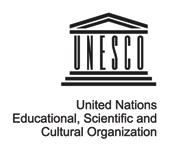 Ultimately, it seeks to foster intercultural dialogue and raise public awareness about the role of jazz music in promoting the universal values of UNESCO’s mandate. As a language of freedom, jazz promotes social inclusion, enhancing understanding, tolerance and nurturing creativity. For more information about International Jazz Day and to register to attend events, please visit www.jazzday.com or www.unesco.org/jazzday. 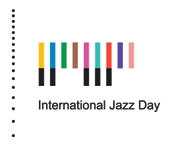 A full listing of registered events can be found at www.unesco.org/jazzday and www. jazzday.com/events.